UNDER CONSTRUCTION. 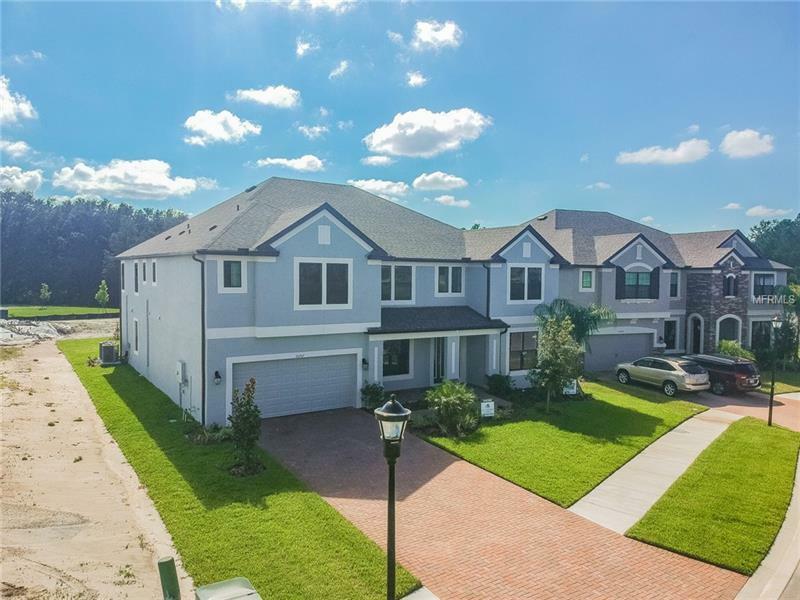 Located within K-Bar Ranch Briarbrook is a gated private and beautiful community known as “a masterpiece community in the heart of New Tampa” and featuring single-family homes that are specifically designed with you and your loved ones in mind. As M/I Homes of Tampa's largest floor plan the Grandsail III does not disappoint! This 2-story home is over 5400 square feet and you will feel right at home the second you walk through the door. The covered entryway leads directly into the foyer which branches off into a den and to the other side is the dining room. Next you will find the stairs leading upstairs and then you will find your way into the family room. Right before the family room on the left is a hallway leading into the master suite. This huge master suite offers 2 walk-in closets a large garden tub a stand up shower and split dual vanities. Off of the family room is the kitchen and cafe area complete with a large island. In the back corner of the home is a guest bedroom with pool bath. Upstairs is practically a whole house in itself! The stairs lead directly into a massive game room. To one side are 2 bedrooms complete with walk-in closets and split with a bath room. To the other side is bedroom number 5 with a large walk-in closet. Then further down is a hall way leading to a media room and bedroom number 6 with another walk-in closet. You can load this media room up to make it the perfect home theater making it the perfect compliment to your game room.